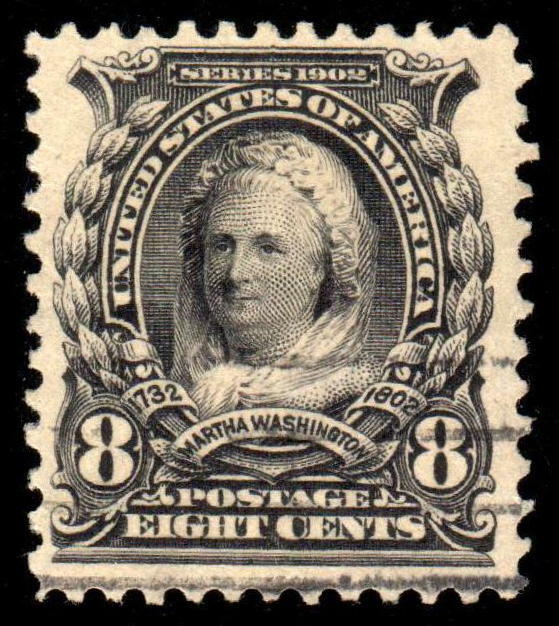 The 8¢ Martha Washington stamp was the first US definitive or commemorative stamp to feature a woman. 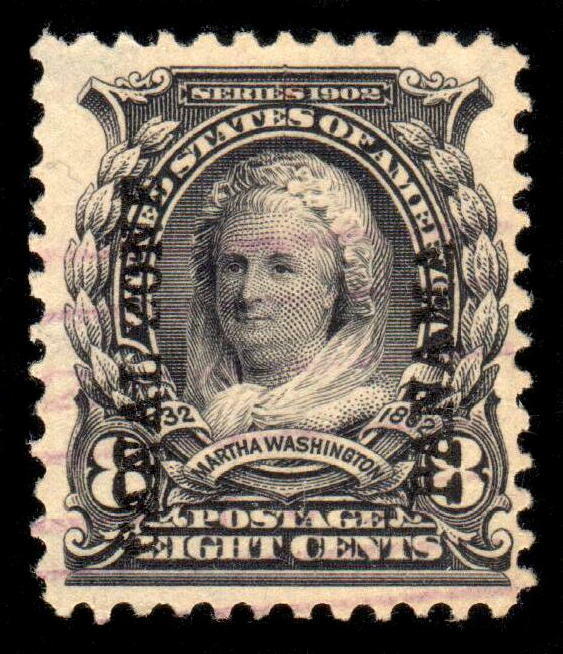 One of two 2nd Bureau stamps issued in November 1902, the 8¢ stamp primarily sought use on domestic registered letters. 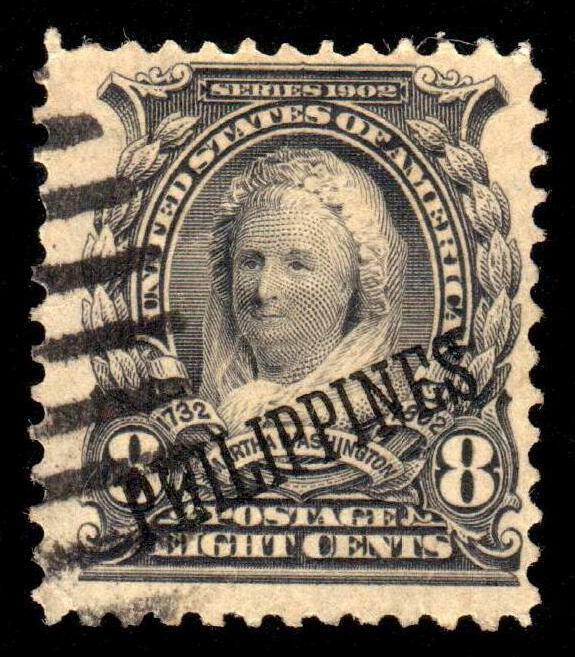 Solo frankings are uncommon but can be found on four times the 1st class 2¢ / ounce rate and the two ounce UPU rate (after October 1, 1907, the UPU rate changed to 5¢ for the first ounce and 3¢ for each additional ounce). 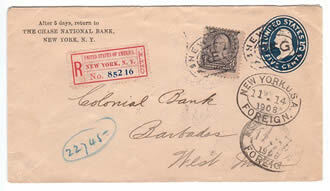 Registered to Barbados, West Indies.